Family plot of Roy Ellis Leighton and his wife Grace Evangeline Sherbeck. See separate entries under their names for photos of the individual headstones. 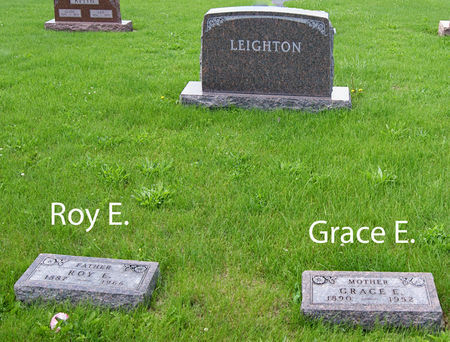 Searching for ROY ELLIS, FAMILY PLOT OF LEIGHTON in Taylor County Iowa?